Plan to move or stay in Shenzhen or in Shekou? Here is a comprehensive listing of Shenzhen serviced apartments all around the city. Shekou and the whole City of Shenzhen. Most popular serviced apartments listings. The Somerset Garden City Serviced Residence Shenzhen boasts a convenient location just minutes from the Shekou Shopping Center and bustling Shekou business area. The Sea World Square Entertainment Center and Happy Valley are two of the attractions that can be found in close proximity of this Shenzhen hotel. Hotel and airport transfer services are provided by the Somerset Garden City Serviced Residence Shenzhen, and public transportation can be found near the hotel. The 147 rooms in this hotel are outfitted to meet the needs of those that are planning to an extended stay in the city. Each of the units in the Somerset Garden City Serviced Residence Shenzhen comes fully furnished and features a well-equipped kitchen, cable television, high speed Internet access, washing machine, and dryer. book an apartment at Somerset Garden City Serviced Residence Shenzhen. The Fraser Place Shekou Apartment Shenzhen is located on a hillside overlooking the city's exclusive entertainment district and the Shenzhen Gulf. Time Plaza, Offshore Petroleum Building, Park N Shop Supermarket, and the entertainment belt are all within walking distance. The Fraser Place Shekou Apartment Shenzhen is only 5 minutes away from the Shenkou Passenger Pier, and the Baoan International Airport can be reached in 45 minutes. A total of 232 luxurious apartments are available in the Fraser Place Shekou Apartment Shenzhen. Some of the amenities available in these rooms include cable television, ironing boards, bathtubs, showers, a kitchen, and a laundry basket. book an apartment at Fraser Place Shekou Apartment Shenzhen. With its central location, Honlux Apartment is within easy reach of most tourist attractions and business addresses in Shenzhen. All 103 at this 3-star property offers well-furnished rooms and attentive service. Room amenities include air conditioning, daily newspaper, desk, television, mini bar. 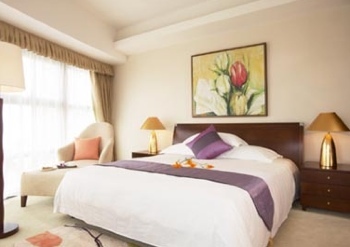 This beautiful Shenzhen accommodation provides 24hr room service, elevator, coffee shop, laundry service/dry cleaning, meeting facilities, restaurant, room service to suit all guests' utmost convenience. To make a reservation at the Honlux Apartment Shenzhen with our secure online booking form, please choose your preferred period of stay. book an apartment at Honlux Apartment Shenzhen. The Ascott Maillen Shenzhen is perfectly located for both business and leisure guests to Shenzhen. The hotel provides all the amenities that today's travelers desire in all of its 199 rooms. Each guestroom is tastefully appointed with non smoking rooms, air conditioning, bathrobes, desk, hair dryer, internet access (wireless). 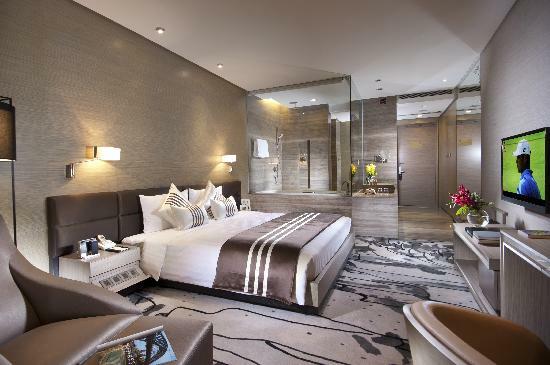 Guests can experience the high standards of comfort while staying at this luxury Shenzhen hotel with everything they need right on the site such as 24hr room service, elevator, bar/pub, laundry service/dry cleaning, restaurant. The hotel offers indoor pool, pool (kids), gym, steamroom, tennis courts to provide extra pleasure and relaxation for all guests. 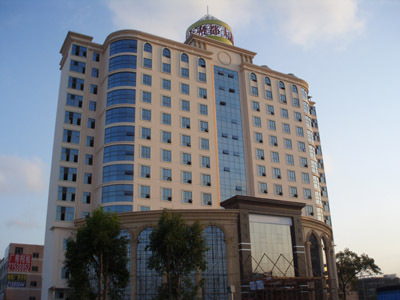 Along with its convenient location in Shenzhen, the hotel also offers a wide range of services and facilities to the guests. These top-class facilities are complemented to excellent services to meet the needs of visitors to Shenzhen. To make a reservation at the Ascott Maillen Shenzhen with our secure online booking form, please choose your preferred period of stay. book an apartment at Ascott Maillen Apartment Shenzhen. KwaiFa Apartment locate at Binhai Road Shenzhen, conveniently neat to Hong Kong and the economic grows rapidly, is a developing trading post. book an apartment at Kwaifa Apartment Shenzhen. Paradise Century Service Apartment is a 4-star hotel, located in the city center of Shenzhen. 180 guest rooms and suites provide comfortable accommodation designed to meet the requirements and expectations of rooms features. Each room has individually controlled air-conditioning, comfortable bathroom, in the room safe, satellite TV-CHANNELS, IDD telephone lines, the hotel has a Chinese restaurant and a western restaurant and one big meeting room. We provide a series of recreation services: Beauty Salon, Chess and Cards center and massage, sauna. Guest in the highest'' is the purpose of our hotel; we will offer warmth and thoughtful service for all guests in our hotel. We are right here waiting for your coming sincerely and respectively. book an apartment at Paradise Century Service Apartment Shenzhen. See actual videos and hear to what people are saying about Shenzhen apartments. Shenzhen Apartment Tour. "Here is a video tour of my apartment in Shekou"
Shenzhen apartment. "open house from Shenzhen"
"View from one of Shenzhen serviced apartments" - Early morning view (you can hear the birds) looking East from this apartment in Futian District. Starts with a view of the Temple and Temple Garden below this apartment. It then pans South. Just South of the Temple wall you can see 10 or so small single story structures that are all that remains of the original village. Surrounding them are progressively taller and newer apartments as one looks South. Directly to the South one sees the green hills of Hong Kong. As the video then pans around to the East and then North you can see a decent view of the Skyline with the mountains surrounding the town in the distance. The video in finally looking North shows the new Central Business District (a sort of new downtown .... although still in the making). The buildings on either side of the Exhibition hall are between 50 and 60 stories high for scale. Meanwhile the smaller and older apartments below mine are more like the initial Shenzhen apartments - with 8 m2 per person and "handshake" alleys between them (called handshake alleys because you could reach across and shake hands with your neighbors).